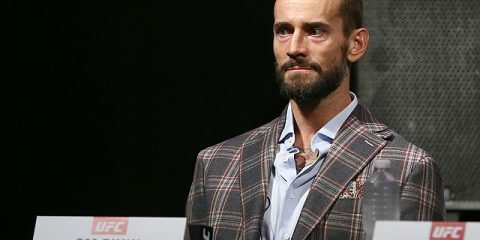 ONE Championship will hold its seventh event of the year just two weeks after one of the most important shows in promotional history, ONE Championship: A New Era, which took place in Tokyo. The organization’s follow-up offering — the 93rd event for the company — will take place on Friday, April 12, from the Mall of Asia Arena in Manila, Philippines. ONE Championship: Roots of Honor is headlined by a featherweight title fight between current champion Martin Nguyen and former titleholder Narantungalag Jadambaa. After failed bids to win a third divisional title against Bibiano Fernandes and Kevin Belingon, Nguyen returns to his preferred weight class. In his ONE tenure, Jadambaa has won six of his eight fights and has only ever lost to Marat Gafurov in championship contests. In the night’s championship co-headliner, current ONE strawweight kingpin Yosuke “Tobizaru” Saruta puts his title on the line in a rematch against the man from whom he took the belt, Joshua Pacio. Prior to the split-decision nod against him at ONE Championship: Eternal Glory earlier this year, Pacio was riding a four-fight winning streak, including his title-clinching performance against Yoshitaka “Nobita” Naito. In the night’s kickboxing and Muay Thai action, former three-division Rajadamnern stadium champion Lerdsila “Mr. Lighting” Phuket Top Team takes on WBC Muay Thai international champion Kohei “Momotaro” Kodera, former Lion Fight titleholder Ognjen Topic meets MTGP world super welterweight champ Saemapetch Fairtex, and top light heavyweight kickboxers Ibrahim El Bouni and Andrei Stoica clash. In addition to all of the aforementioned action, the final quarterfinal bout of the flyweight world grand prix takes place. The contest features former Deep champion Tatsumitsu Wada against 2012 Olympian Gustavo Balart. The preliminary card airs live at 6 a.m. ET on ONE Championship’s Twitter and Facebook pages. The main card continues live at 8:30 a.m. ET on B/R Live (United States) and YouTube. Martin Nguyen is set to defend his featherweight strap against Narantungalag Jadambaa. Does Jadambaa have what it takes to unseat Nguyen? Jadambaa is not only one of the most skilled fighters in the division, but he has nearly a decade more experience than the champion. Through 19 professional contests, he has claimed victory in 14 bouts, with eight wins by way of stoppage. The 43-year-old won’t be able to match the speed of his much younger opponent, but his striking power has been a consistent reminder for his competition that this Mongolian veteran still has what it takes to be a champion. In his most recent outing, Jadambaa went toe-to-toe with lightweight King of Pancrase and former UFC fighter Kazuki Tokudome. Despite getting dropped in the second round, “Tungaa” turned the bout around with his own knockdown and change in strategy. Jadambaa has rounded out his game over his 15-year career to become a complete fighter who can battle anywhere the fight takes place. Whether he is working for the finish on the feet or shooting a strong double-leg takedown, Jadambaa is a dangerous opponent. Nguyen will have to be wary of his opponent’s power. A striker by trade, Nguyen has seven knockouts among his 11 career wins. 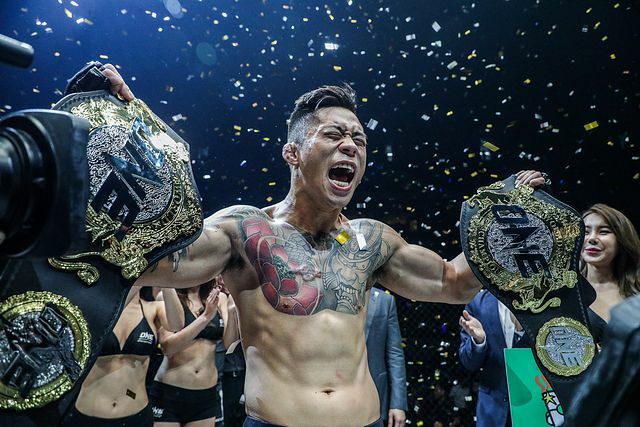 The former two-division ONE champion has stopped former titleholders Eduard Folayang, Marat Gafurov and Kazunori Yokota in his incredible run to two belts. His move to bantamweight in an attempt to capture a third championship wasn’t nearly as successful. Nguyen dropped both of his attempts at the title, first against Bibiano Fernandes and then against Kevin Belingon. However, the Australian admitted to having to put himself on a strict diet for months to get down to the 145-pound limit (remember, ONE has unique weigh-in rules). In between those cuts to bantamweight, Nguyen defended his featherweight title in a tougher than expected five-round bout against Christian Lee. Nguyen struggled to find consistency and the power that brought him the title just a few fights earlier. 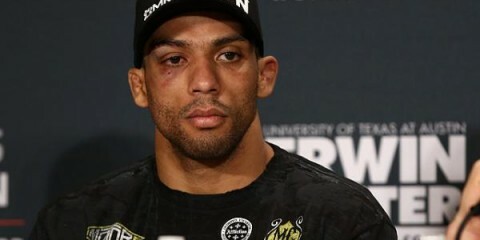 It has to be questioned whether or not the cut down to bantamweight effectively weakened and lessened his ability to land clean, hard strikes against faster opponents. Now, he moves back up against an opponent who won’t be able to match his own speed, let alone that of fighters like Belingon and Fernandes. Jadambaa hasn’t been stopped with strikes since his MMA debut against the late, great Japanese combat sports legend Norifumi “Kid” Yamamoto in 2004. He will be the underdog heading into his ninth ONE bout, though. All it takes is one punch for Jadambaa to reclaim gold. That said, Nguyen has never been stopped by strikes in his seven-year career. Nguyen should have his hand raised, assuming he’s able to calmly and effectively pick apart his Mongolian opponent. In January, Yosuke Saruta squeaked by Joshua Pacio to claim the strawweight belt. Now, the two are set to rematch. What adjustments does Pacio need to make in order to reclaim the crown? The 23-year-old held his own against his much more experienced opponent in their exciting five-round championship contest. Pacio was able to show off some of his diversity with his wushu attack. However, Saruta met the Filipino with an excellent strategy. Pacio fought most of the bout with the threat of the takedown on his mind, so he was more comfortable trying to fight at distance with his long-range attacks. Pacio found success off his back foot, but the threat of the takedown, combined with Saruta’s pressure, opened up Pacio to be hit more. The Filipino fighter was even dropped in the fifth and final round before scoring another takedown. Pacio has only fought in one other rematch in his 19-fight career, and that came against former ONE strawweight champ Yoshitaka Naito. The young prospect lost in his first meeting against “Nobita,” but he impressed with his takedown defense and superior striking throughout the bout. Naito was the better grappler heading into the contest, but Pacio was able to stave off the takedowns early and do enough damage to slow the Japanese titleholder. Naito is an incredibly tough fighter who gets better as the fight progresses, and yet Pacio was able to nullify Naito’s grit and toughness with solid defensive grappling. Pacio will need to increase his output in order to back Saruta off enough to score consistently throughout the 25-minute contest. Saruta’s forward pressure changed Pacio’s striking output and shot selection, and it always kept his mind on the takedown, where he was nearly as successful as in his title-winning performance. Pacio has continued to progress his game since joining ONE in 2016. However, Saruta has the striking acumen to force Pacio into similar situations as in the first meeting. Pacio should come out firing in the first few rounds to pour on the damage early. He should look to counter and move, and maybe even throw in his own takedown attempts to interrupt Saruta’s game. If Pacio cannot put in the work early to keep Saruta off of him, he is going to face a similar fate in the rematch as he suffered in their initial meeting. This card features one kickboxing affair and two Muay Thai bouts. Which of the six fighters involved will have the best showing of the night? Depending on how you define the question, a number of the fighters could take this honor after Friday’s event. 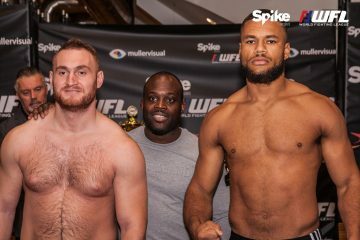 There is no question that the only kickboxing bout on the card, between knockout artists Ibrahim El Bouni and Andrei Stoica, is guaranteed to please the crowd. The 2017 K-1 World GP heavyweight championship tournament runner-up El Bouni has knocked out the likes of Roel Mannaart, Fabio Kwasi and Ertugrul Bayrak to bring his record to 37-7-1 with 21 knockouts. Former SUPERKOMBAT champion Stoica has stopped 28 opponents while accumulating 49 career wins. So far in their ONE careers, both fighters have fought top-10 kickboxer Tarik Khbabez in insanely fun battles. No matter who gets the upperhand in this contest, their opponent will always be one punch, knee or kick away from the knockout or a potentially fight-altering knockdown. Saemapetch Fairtex has a difficult — but winnable — match-up against skilled Serbian-American Ognjen Topic. Saemapetch has won 119 of his 145 pro bouts after beginning his career at the age of 11. Now, 13 years later, he trains with one of the most well-known gyms in Thailand, which is where he derived his southpaw style. 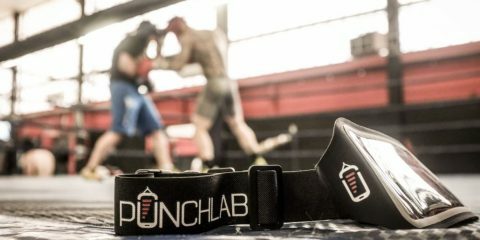 Topic, 33, recently uprooted his life from his home in New Jersey to train with one of his former opponents, Saenchai, at the P.K. Saenchai Muay Thai gym in Bangkok, Thailand. The open-stance battle will come down to the tactics employed, the pace of the fight, and the four-ounce gloves. Saemapetch’s edge in experience will be tested against the battle-hardened Topic, but it’s more likely Saemapetch impresses the Filipino crowd. Yet, the fighters who will undoubtedly put on the best showing are Lerdsila Phuket Top Team and Kohei Kodera. 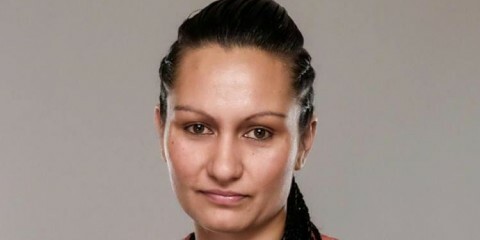 Lerdsila is the most experienced fighter on the card, with a whopping 188 wins in 224 bouts. At the age of 38, he is all about having fun in the ring with the flashy style he developed while training at the famed Jockey gym. Lerdsila left the stadium scene many years ago for better opportunities on the international stage. Even in the twilight of his career, he is one of the slickest, most defensively sound fighters in the world today. Given nicknames like “Eel,” “Mr. Lightning,” and “The Floyd Mayweather of Muay Thai,” Lerdsila uses his superior defense to fool his opponents, returns fire with well-timed counters, and just plain has a good time in the ring. Lerdsila takes on WBC Muay Thai international champion Momotaro, who began his journey in martial arts as a child after starting to train karate. The former NJKF champion took out Hiroki Kasahara under Shoot Boxing rules, topped Kazuki Koyano at Pancrase REBELS Ring 1, and dominated in his ONE debut against Kenny Tse. The active competitor pushed his record to 29-9-1 following his latest victory. Despite having more than five times less experience than Lerdsila, Momotaro offers an intriguing stylistic match-up from the southpaw stance. In terms of the level of competition, back-and-forth exchanges, and high-level technique, this fight should deliver in droves. Momotaro will offer a stiff challenge for his flamboyant opponent. However, Lerdsila is coming off an impressive and clear decision victory over another young and skilled prospect in Sok Thy. Lerdsila will put on the best performance of the night by showing off his technical aptitude against Momotaro. The flyweight grand prix continues with a quarterfinal showdown between Tatsumitsu Wada and Gustavo Balart. Can Balart, a 4-foot-11 wrestler, succeed on the big stage against Wada? Balart doesn’t have the biggest stature, but his pedigree as a wrestler evens the odds against most of his opponents. Balart began wrestling at the age of seven under the tutelage of his father, who was a member of the Cuban national team. In 2011, Balart won gold at the Pan American games in his weight division. In 2012, he represented Cuba at the London Olympics. Following a disappointing second-round loss, Balart changed his career path. 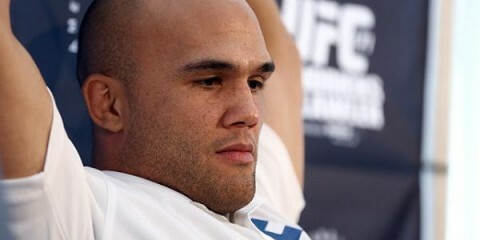 He left his family behind in Cuba to pursue a career in MMA. “El Gladiador” has won eight of his nine bouts since kicking off his career four years ago. In his most recents fight, the American Top Team representative stopped Wascar Cruz in 20 seconds at Titan FC 52. Balart hasn’t fought the highest level of competition, though. His biggest win came against Jorge Calvo Martin. Wada has been grinding on the Japanese regional scene since 2008. He didn’t start his career with any sort of success, but he continued to improve upon his skills to become one of the best flyweights in Japan. Over the course of his last 21 bouts, Wada has had his hand raised 17 times while scoring wins over the likes of UFC veteran Kai Kara-France, Shooto champ Ryuichi Miki, and Deep titleholders Yuki Motoya, Yusaku Nakamura, Haruo Ochi and Takafumi Otsuka. He carried an eight-fight winning streak into his ONE debut, but he fell short in a closely contested bout with Reece McLaren. Wada impressed with a 52-second submission against Eugene Toquero, but he lost to fellow flyweight grand prix participant Danny Kingad in his last outing. Originally scheduled to face Ivanildo Delfino at the recent ONE Championship: A New Era show, Wada instead returns just two weeks later against a completely different style match-up. This fight screams striker-vs.-grappler, but Wada can certainly bridge the skill gap on the ground far more than Balart can do so on the feet against the slick boxer. Wada will carry a massive height and reach advantage into the bout. The Japanese fighter stands at 5-foot-7, and he will need to use his jab, counter strikes, low kicks, and knees to keep the stocky wrestler at bay. It’s fairly obvious that Balart needs to close the distance and get the fight to the floor. Wada is a skilled veteran who has experienced most of what the sport has to offer. The soon-to-be dad should have a lofty advantage in terms of skill on the feet, which will make the biggest difference in the fight. He just needs to keep the fight off the mat.